Take the Guesswork out of Watercare! Our mission is to help you enjoy the wellness benefits of regular spa use by making water care easy. With Caldera® you can reduce chemical use and decrease chlorine odor while keeping your hot tub sanitized, healthy and ready to use any time. Our unique and patented design automatically generates chlorine from salt, keeping water clean and fresh up to 3x longer than any other system. After all, your spa should take care of you, not the other way around. 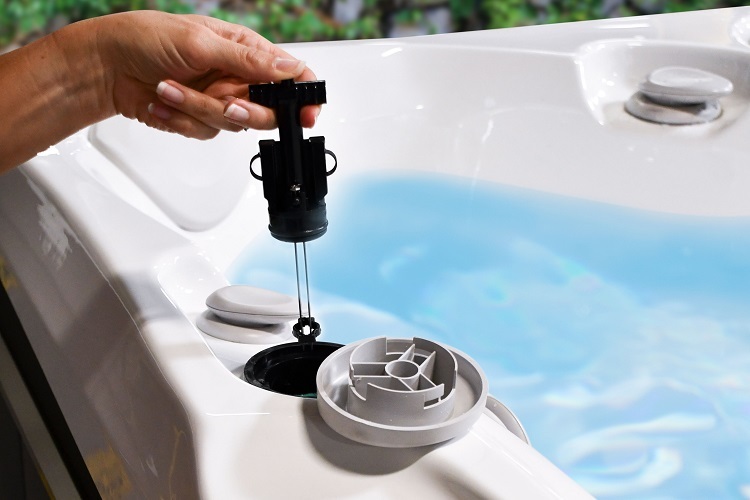 This easy-to-use system is available on all 2019 Utopia® Series spas. FROG brand sanitizing systems feature pre-filled cartridges for no mess, no guess and no stress hot tub care. Available on all 2018 Paradise Series Spas and Vacanza Series Spas. Make the most of your hot tub water care system with these chemical-free accessories to ensure you start with fresh, clean water. At Pool World we sell more than pools and spas, we are in the business of giving people fun and relaxation. Our goal is to have 100% customer satisfaction.